Thank you, PJ, for allowing me to visit your blog. I hope you won’t mind if I wander around the hemisphere with this. I notice that one of your topics is “The Best Book I Never Wrote.” Excellent topic—and I have one. A couple of months ago, I was invited to address high school students. I jumped at the opportunity, then realized this was a new challenge for me. Certainly, my normal spiels would not work. The students would zone out on me quickly. Then, I considered what they could bring to the table that older folks might no longer have. Yeah, energy, but that’s not what I was looking for. What they have that gets stunted by the realities of living life is imagination. Theirs is fresh and uninhibited, not having gone down the dead ends and hit the walls that are yet to come. So, my job would be to stimulate that imagination. I chose a time travel example. Suppose you could go back in time to the day of Martin Luther King’s assassination. (I chose him because every student gets thoroughly exposed to his life and death.) Suppose you were on the balcony with him, surveying the crowd, then spotted the shooter in the window across the street. You reach to push Dr. King out of the way. What can happen? I went on to lay out four scenarios: 1) You push him away, the bullet misses, and he lives. 2) You push him away, and he tumbles over the railing and falls to his death. 3) You push him, but he’s wounded. 4) You push, but hit air because he has stepped forward. The bullet kills him, but his bodyguards misunderstand your intent. Take each of these possibilities into the future and imagine its impact on history. How would our country be different? How would your world be different? Yes, I might have been influenced by Stephen King’s 11.22.63. I really don’t know, but my idea worked with the teens. I fielded some interesting comments. And, as I’ve thought back over that day, I discover that I’d really like to write such a book. One of your other topics is “Writing controversial topics – good or bad idea?” That ties into the above. I suspect that such a book using Dr. King’s death would be extremely controversial. And, while I don’t fear exploring controversial subjects, this is one I’ll probably stay away from. It is difficult in our ultra-PC world of today to write a novel and not touch on someone’s feelings. My critique group is quick to tell me I’ve written something that is not PC. Most of the time I stare at it, not understanding why anyone would take offence. Yet, they see something I don’t. In my Beth Bowman series, she has a group of allies who are homeless. I single out at least one in each book and give their backgrounds. Some view homelessness as controversial, and might not like my treatment of it. Another of your topics is “What makes your book/series unique?” I won’t call my stories unique, but the homeless situation is a subject not often explored. I’m not trying to exploit them, but to show them as part of our South Florida population. They are real, but all too often they are invisible. 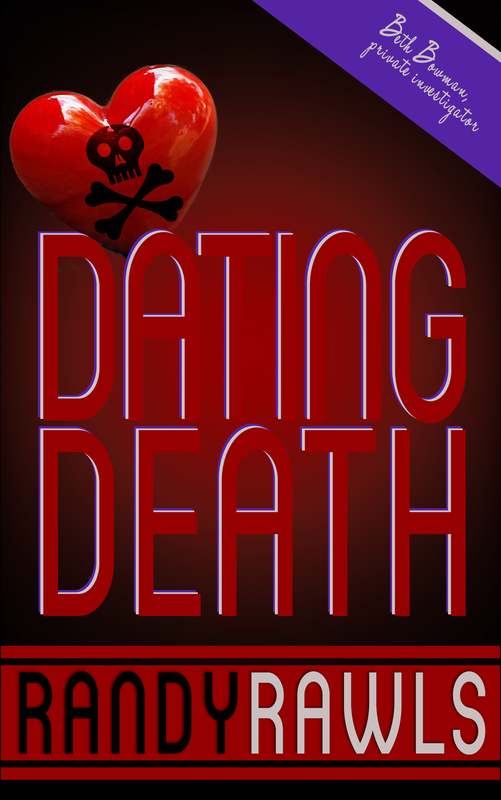 In my latest, DATING DEATH, Beth’s life and actions are once again supported by her homeless friends. Their invisibility (figuratively, not literally) is an asset they use to champion her investigation. When I saw the topic “Lessons I’ve learned along the way,” I had to smile. I’ve learned so much while writing and publishing a dozen books. I think the number one thing, though, is that no one is born with the talent to write fiction. Some are born with the talent to tell wonderful stories, but writing fiction is an acquired skill. And acquiring that skill requires, among other things, reading, reading, and more reading. When I hear someone say, “I don’t read while I’m writing,” I feel sorry for him or her. First, they are missing so much, and will never be able to get it back. But second, how can they expect to become successful writers if they’re not learning from every book they read. That’s the lesson I offer: Begin reading and never stop. Promotion has always been (and continues to be) my Achilles’ heel in this business. I’d simply rather spend my time writing than pumping my fist in the air and screaming, “Buy my book!” If someone reads this blog and wants to sample my works, all twelve are available on Amazon. There are three series and one historical. And, after reading, if someone chooses to post a review, I shall be grateful. Thanks, PJ for allowing me to sound off. Randy Rawls lives in Delray Beach, Florida, slap-dab in the middle of paradise. Not only is the weather perfect, but the writing environment is ideal. 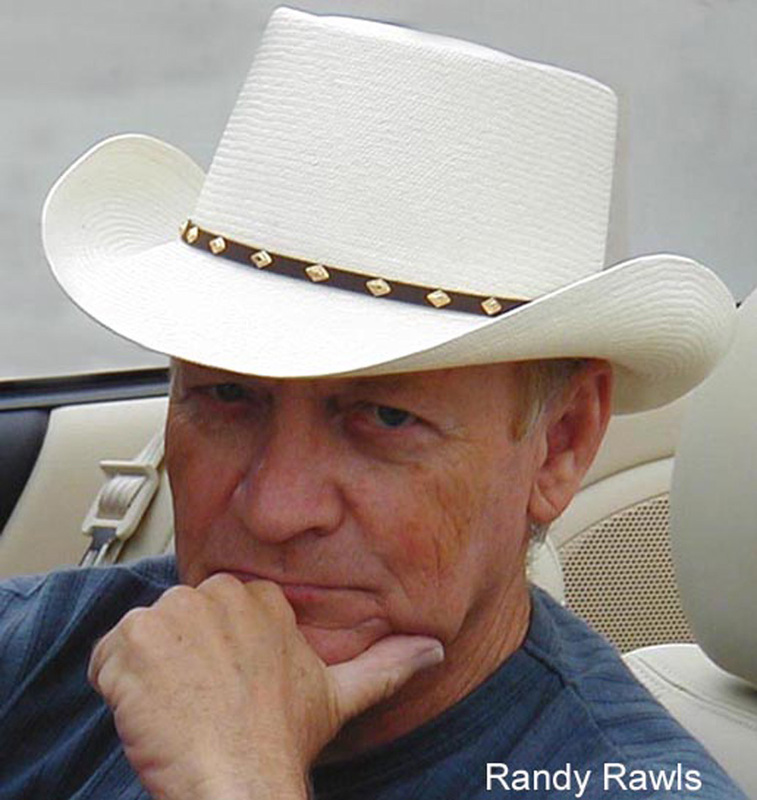 Before retiring in Florida, Randy grew up in North Carolina, then spent a career in the Army. After retirement, he returned to work with the Department of Defense as a civilian, the aspect of his career that allowed him to live in Texas, and then led him to South Florida. Somewhere along the way, he fell in love with writing. The writing was a natural progression since he has always been an avid reader. Randy welcomes comments at RandyRawls89@gmail.com. The Chief of Police of Coral Lakes, FL has the goods on Roger Adamson, a dirty politician. However, the chief knows Adamson has additional information that could bring down a drug lord and disembowel his organization. Chief Elston asks Beth Bowman, a South Florida PI, to assist by becoming Adamson’s consort/bodyguard while Adamson parses out data. Beth agrees, not realizing multiple homicides, a kidnapping, a tight frame for murder, and the loss of the man she loves await her. If not for Beth’s homeless friends, all might be lost. 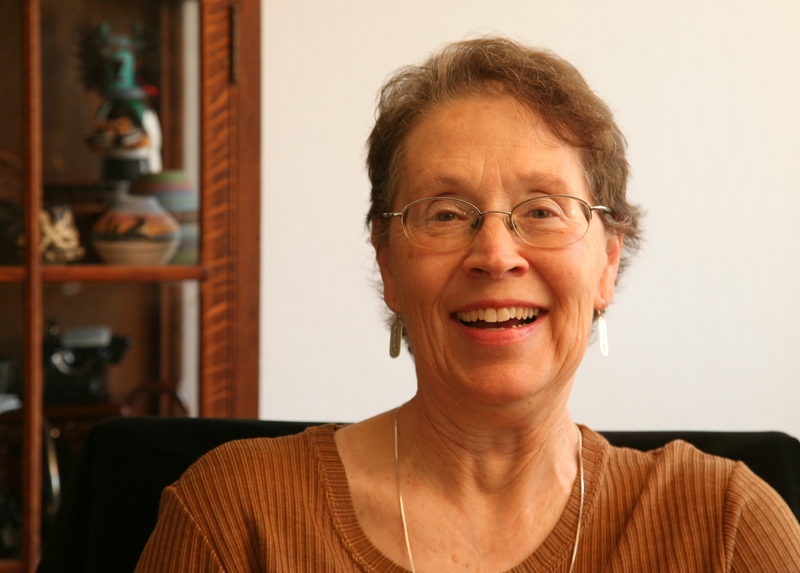 Dawson is a long-time member of Mystery Writers of America and Sisters in Crime. I write a historical mystery series set aboard a train called the California Zephyr. The time frame of Death Rides the Zephyr is December 1952. Death Deals a Hand takes place in April 1953. How can the Fifties be historical? I must admit the era doesn’t seem that far distant to me. I was alive back then. However, 1953 was more than sixty years ago. Dwight Eisenhower had just been elected president. The Korean War was raging. It had been less than eight years since the end of World War II. My protagonist, Jill McLeod, is a Zephyrette, a train hostess. Her job was to keep an eye on the passengers and whatever was going on aboard the train. The Zephyrettes were the only female members of the train’s crew. They were resourceful, observant, and unflappable – excellent qualifications for a detective. The California Zephyr, jointly operated by three railroads, ran daily trains between San Francisco and Chicago, one eastbound, one westbound. The journey took two-and-a-half days. Also called the Silver Lady because of its shiny stainless steel cars, the train operated from 1949 to 1970. The post-World War II era was the heyday of the luxurious trains known as streamliners. But it wouldn’t last. Societal changes such as air travel, interstate highways, and the American love affair with the car made trains less viable to travelers. Traveling on the Silver Lady was a wonderful journey, though. Imagine sitting in the elevated Vista-Dome, with its 360-degree view of the spectacular Feather River Canyon in California’s Sierra Nevada, or winding through Colorado canyons for 238 miles beside the Colorado River. Imagine sleeping in your comfortable roomette or bedroom aboard a Pullman car. Think about eating in the dining car at a table set with white tablecloth, china, silver flatware, and flowers in a vase. For the journey between San Francisco and Chicago, the most expensive berth on the train, the drawing room, cost $62.95. A fried chicken entrée in the dining car cost $3.50. Remember, though, than an excellent yearly salary in 1952 was about $5,000. I write the California Zephyr books surrounded by photocopies of timetables, price sheets and menus that tell me what food was available in the dining car and the coffee shop aboard the Silver Lady, and how much it cost. 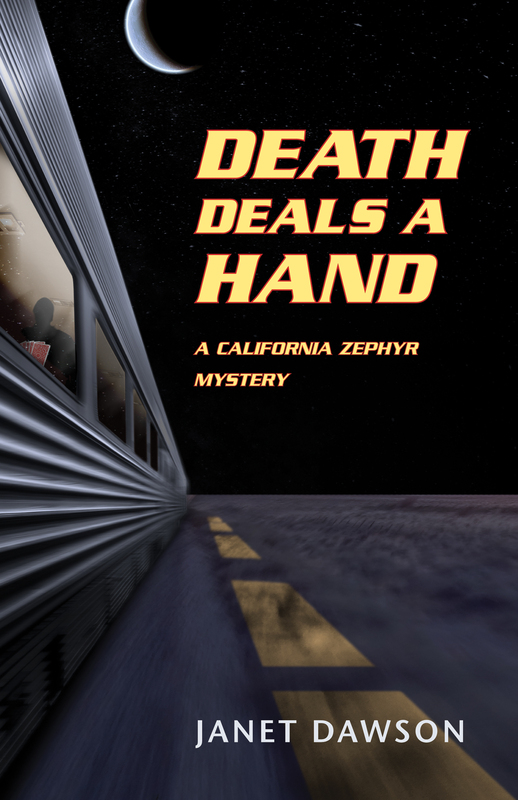 While researching the first book, Death Rides the Zephyr, I interviewed two former Zephyrettes, one of whom had been riding the rails in the early Fifties. What would the conductor do, I asked, if confronted with the murder of a passenger? Would he radio ahead to the next station, to ask that the authorities meet the train? The former Zephyrette smiled and shook her head. Radio from the train to a station in 1952? No, that didn’t happen. The technology didn’t exist at that time. The conductor would stop the train and the brakeman, another member of the onboard crew, would climb up a telegraph pole, tap into the wires and send a Morse code message to the next station. Now that we live in a world where cell phones, email and text messages are ubiquitous, Morse code is hard to imagine. Another aspect of writing the 20th century historical novel is looking at societal roles and how they were back then. Sexism and racism were pervasive. The Zephyrettes, who were young, unmarried women in their twenties, often had to fend off the attentions of male passengers. If a Zephyrette got married, she lost her job. The porters who catered to the needs of the passengers in the Pullman cars were overwhelmingly African American, as were the waiters and cooks in the dining car. These members of the train crew were likely to be called “boy,” and worse, by the white passengers. My challenge was to convey this, to give the readers a sense of what it was like to live and work in these times – and not overwhelm the story. I wish I had a time machine. I’d travel back to 1953 and take the California Zephyr from San Francisco to Chicago, just to see what it was like. But I don’t have that time machine, so research and recollections will have to suffice. The main reason I’ve had “varied experiences” is because I’ve been around for such a long time. I grew up in a community of Los Angeles called Eagle Rock. I’ve always been a voracious reader and as a child I loved Nancy Drew mysteries. I graduated from them to many adult books, but remember that I also enjoyed the historical gothics. A blind date with a cute sailor changed the direction of my life. We married despite everyone’s warnings that it wouldn’t last. How wrong they were. We lived in Maryland and Virginia and finally settled in Oxnard CA where hubby was stationed at the Port Hueneme Seabee Base. By the time we had our third child we bought a home and raised all of our five kids there. My reading moved on to the many mystery novels written by Erle Stanley Gardner and I read a lot of romances given to me by my next door neighbor. I also worked at many jobs: telephone operator, teacher in a pre-school for kids with developmental disabilities, day care center teacher in low-income areas, in a pre-school where I was the only one who wasn’t fluent in Spanish—I did speak Spanish but my students all learned English quickly. While in Oxnard I wrote two historical family sagas based on my own family’s genealogy and started the process of submitting them to publishers, receiving many rejections and doing lots of rewriting. We moved to the foothills of the Sequoia and took over a licensed facility for 6 women with developmental disabilities. The first year we were here, I received an acceptance letter for the first of the sagas. I thought I was on my way to being famous. Didn’t happen. I was woefully uneducated about the needed promotion. I decided to write mysteries, and the first one contained characters and some of my experiences working in one of the day care centers—and it was my first book to have a police officer in it that was published. 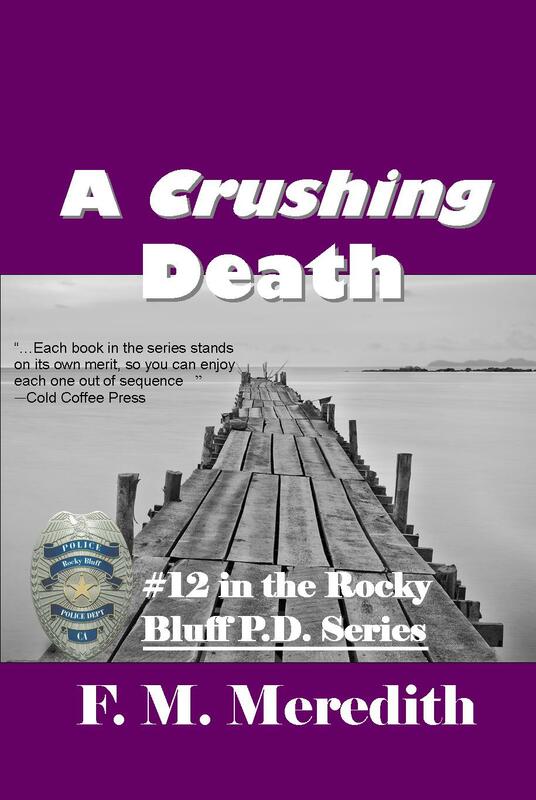 However, I had started to write the first Rocky Bluff mysteries before we left the coastal area. I’ve used many of my experiences and the places I’ve lived and even some of the people I’ve known over the years in my mysteries—of course sprinkled with lots of imagination. A pile of rocks is found on a dead body beneath the condemned pier, a teacher is accused of molesting a student, the new police chief is threatened by someone she once arrested for attacking women, and Detective Milligan’s teenage daughter has a big problem. 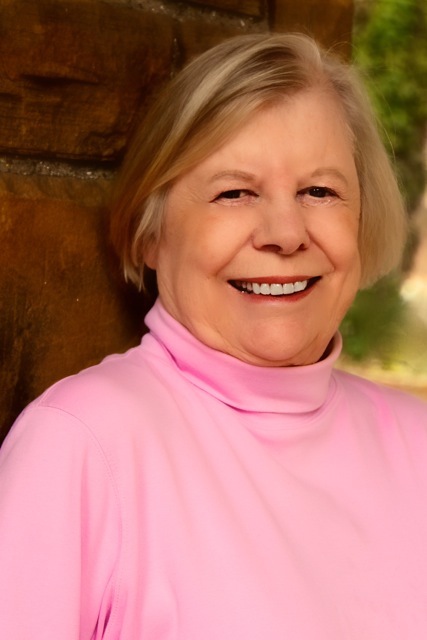 M. Meredith who is also known as Marilyn Meredith is nearing the number of 40 published books. Besides being an author she is a wife, mother , grandma and great-grandmother. Though the Rocky Bluff she writes about is fictional, she lived for over twenty-years in a similar small beach town. Besides having many law enforcement officers in her family she is counts many as friends. 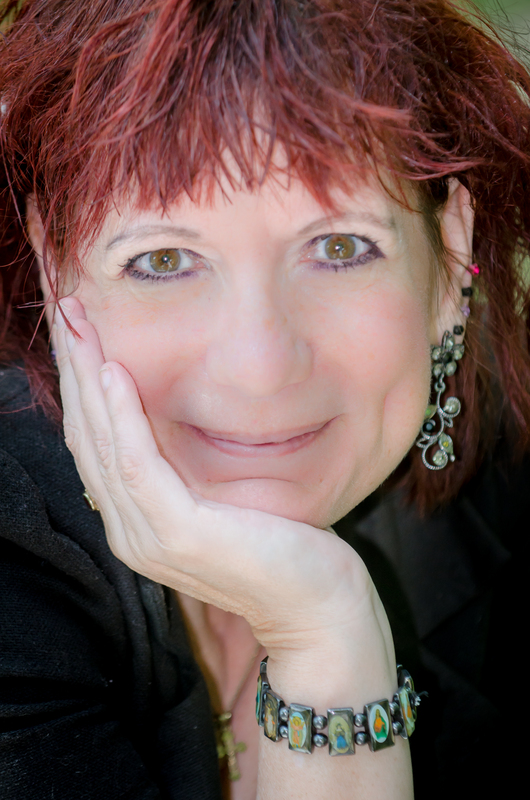 She teaches writing, loves to give presentations to writing and other groups, and is a member of Mystery Writers of America, three chapters of Sisters in Crime and on the board of Public Safety Writers Association. And not just girls… let’s face it: everyone is attracted to things that sparkle. From the moment we’re born, our eyes follow shiny objects. And because everyone likes them, precious stones and gems have acquired a substantial monetary value. In the nursery rhyme, the “little star” twinkles “like a diamond in the sky,” but diamonds are no little stars: they’re big and bright and can be very, very dangerous. Blood diamonds cost countless people their lives and limbs. Diamonds are stolen and imitated, fought over and killed for, and still every February we buy them, give them, and receive them as delicate, beautiful expressions of love. My new novel, Deadly Jewels, deals with a diamond theft during World War Two, which has repercussions in the present day, its unfinished business echoing up through the years. And you might think that it was easier to steal diamonds back then, but you’d be wrong: unlike other crimes, which seem to be more and more blocked by technological advances in loss prevention and law enforcement, it seems that jewel thieves are alive and well and very much at it. One of the things that we say about murder is that we only know about the failures—a successful murderer being, of course, one who is never caught because murder is never suspected. The same cannot be said for heists: we know only too well when and where they occur, and sometimes even by whom. And I have to say that the recent history of heists isn’t without some humor. Take the so-called Pink Panther gang, some very serious thieves from Eastern Europe who earned their nickname following the 1993 theft of a £500,000 diamond in central London—they hid the stone in a jar of face cream, a move learned from watching The Return of the Pink Panther. That’s right: Inspector Clouseau taught them. They’ve been enormously successful and are responsible for what are considered some of the most glamorous heists ever. A science museum isn’t the first place you’d think of as a backdrop to a diamond heist, but in 2002 that happened in the Netherlands during an exhibition called The Diamond: From Rough Stone to Gem. Thieves got away with $12 million in diamonds and jewelry after smashing a window to get in (they weren’t picked up on video and none of the guards saw or heard anything) and accessing six of 28 alarmed cabinets in the main jewelry room before escaping. That one still has a lot of people scratching their heads. In 2013, thieves netted $136 million in diamonds belonging to an Israeli guest at the Carlton Intercontinental Hotel in Cannes—the same hotel that was the setting for Alfred Hitchcock’s 1955 jewelry heist film To Catch a Thief. I could go on and on—really, I could—but you get the point. There’s something about diamonds that brings out the James Bond or Marilyn Monroe in all of us. And the mystery not only of their attraction but of the lengths to which people will go to steal them is one of endless fascination—for this mystery writer, anyway! 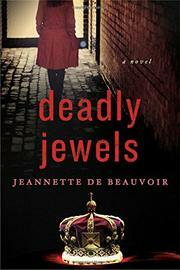 Jeannette de Beauvoir is the author of the Martine LeDuc mystery series from St. Martin’s/Minotaur, featuring Asylum and Deadly Jewels, and teaches writing at the Cape Cod Writing Workshops. She doesn’t own any diamonds. One favorite bit of advice given aspiring authors is to try your hand at writing short stories. If you become published in credible venues, your street creds are confirmed. Now editors and agents will take your queries seriously. Novel publication is imminent. Wait! What’s wrong with this advice? Number One is that it belittles the short story. 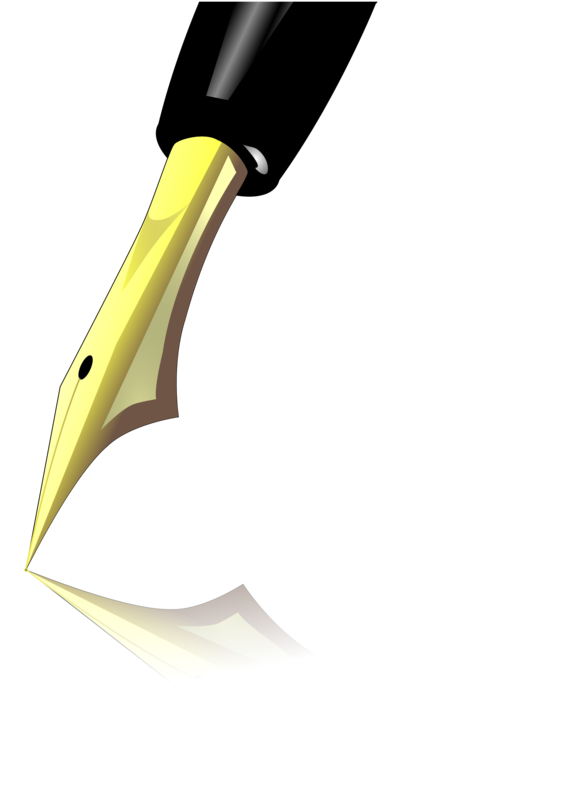 The only reason you need to dabble in short fiction is to sell your novel length fiction? Don’t dismiss the short story. It is a unique art form, not a truncated novel. The Number Two reason this advice stinks is because it is true, but not for the reason given. If you want to gain the attention of editors and agents, writing short improves your craft. You’ll be noticed for your crisp prose, swiftly developed characters, and smooth plotting. The Number One reason is that you have just underestimated your talent. I have heard many people say they start a short story, and it turns into a novel. Maybe you had an idea too big for a short story, but maybe you let the story get away from you. Save those sub-plots and cast of characters worthy of a Hollywood epic for other stories. How many people have tried to write a novel, but just couldn’t make it work? An entire novel? What an investment of time, sweat and tears! A short story might only take you a month to launch and then abandon. It is a time risk you can afford to take. The Number Two reason this is the wrong answer is because the era of the single-genre, single-form writer is over. The publishing industry is wide open with opportunity, whether you go the traditional or the independent route. The same author might create poetry, short stories, and novels. Name recognition increases with your exposure to a variety of reading audiences. You can’t afford to not try your hand at writing short fiction. So, how do you test the waters, if you’ve never seriously attempted to write a short story? I have some ideas that might work for you. Is it easy? No, writing short is a challenge, but the rewards are well worth the effort. Aim for a market. I began writing short stories when I decided I wanted to sell to Woman’s World magazine – the one you see in the grocery store check-out stand with the diet and the cake on the cover? http://www.womansworld.com/ They buy mini-mysteries and romance stories. Short, short short! I tried writing half a dozen stories of 700 words. None sold, but I learned to focus my storytelling skills. Set a goal. Make it concrete. I will write a short story this year – it will be completed by July 22. I will write a short story a week for two months, then pick the two with the most potential to polish and submit to a magazine (or e-zine). I will submit a story to my local writing conference’s themed anthology. You get the idea. Your goal must have a deadline! Cut without mercy. Writing short stories requires that every word count. Every character plays an indispensable role. Every action must tie into the plot. I tend to write way longer than I know the final story should be, then spend agonizing hours cutting unnecessary verbiage. In the spirit of full disclosure, I may spend six months writing a short story, concurrent with other writing projects. Some of you may be hammering out novels in that time. You may be much faster. Don’t be discouraged. If you enjoy lengthy novels, and your writing tends to ramble, you may find it difficult to hold back the flood of language as you attempt to create a story of a set word length. Keep at it. By reading good short fiction, and working on your own, you’ll eventually hit the right rhythm. Don’t be discouraged by rejections. Yeah, I know, easy to say. Okay, shed those tears, but then move on. Submit the story elsewhere, save it for an independently published anthology, or post it to your website. Just remember, once you Indy pub or post publically, you won’t be able to sell the story to a traditional publisher. If that’s your goal, submit, cry, revise, submit again. I began writing short fiction because I wanted my novel queries to get the attention of editors and agents with a quick and easy short story publication credit. Once that notion was utterly destroyed, I gained respect for the short story. I now read and write short fiction for the enjoyment of this unique and challenging art form. 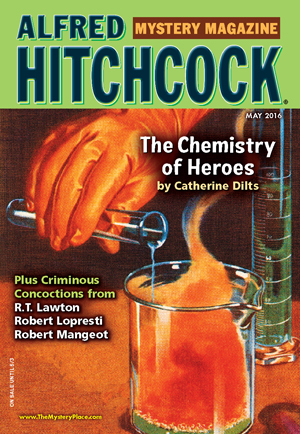 Catherine’s fifth published short story appears in Alfred Hitchcock Mystery Magazine’s May issue, on sale the month of April. Her second novel, Stone Cold Case – A Rock Shop Mystery, is available on-line via Barnes & Noble and Amazon, and in e-book for Kindle. With a day job as an environmental regulatory technician, her stories often have environmental or factory-based themes. Others reflect her love of the Colorado mountains, fishing, and running. The Columbian Exposition opened in Chicago in 1893, but planning began in the 1880s. Competition among cities to host the event, designed to commemorate Columbus’ arrival in the New World, was fierce. St. Louis, Philadelphia, New York City, and Chicago all fought to be named. New York spokesmen claimed Chicago would put on a cattle show, but Chicago—once described as a “flat city on a flat prairie by a dull lake”—was the winner. The announcement came in 1890, and the date was pushed a year beyond the anniversary to give Chicago time to construct the fairgrounds—and demonstrate that it had become a sophisticated city of over a million people. The site chosen was on the city’s south side, near the fashionable suburb of Hyde Park and where the University of Chicago now stands. Three years later, the White City was ready for the world with gleaming white pavilions, sculpture and fountains and art by the world-famous artists like St. Gaudens, a moving sidewalk that took visitors through the grounds and out over a portion of Lake Michigan. Attractions at the fair included Wild Bill Hickok’s Wild West (not allowed on the actual grounds), pianist Paderewski, Little Egypt featuring belly dancers who horrified some proper women, and the first Ferris wheel, so big its cages held twenty-four people. Lunch was served as people rode high into the sky. I grew up in Hyde Park and went to the University of Chicago, so the Midway where the exposition was held was familiar to me. As I studied the event, one woman fascinated me—Bertha Honoré (Cissy) Palmer. Wife of hotel owner Potter Palmer (the Palmer House still operates in downtown Chicago). Cissy was a pioneer in recognizing that great wealth brought an obligation to philanthropy, and she put her belief into actions, inviting young factory workers into her home, working at Hull House, Jane Addams’ famous settlement house, and visiting the poor. The exposition was planned to have a women’s building, operated by a board of Lady Managers, with two delegates from each of the states. Cissy was elected president of the board—a full-time volunteer job. It wasn’t easy—there was strife among the women; it was a time of both the feminist and the temperance movements, and she dealt with it all. She and her husband traveled to Europe to secure delegations and exhibits from many countries. Due to her efforts the Women’s Pavilion was designed by a woman—a thought that horrified famous architect Daniel Burnham, responsible for the fairgrounds–and featured murals by artists Mary Cassatt and Mary Fairchild MacMonnies—Cissy was then in the middle of two artistic women who did not get along with each other. The exposition was a huge success. Twenty-seven million people from all over the world visited, 750,000 in one day, but the White City did not last. Homeless people drifted into the buildings which were made of temporary material. Today, only one building survives as the Museum of Science and Industry. My novel about Chicago and the Palmers, The Gilded Cage, grew out of my fascination with Chicago and Cissy Palmer. Chicago, from swampland to host of the 1893 World Columbian Exposition, as lived by two leading historical figures: tycoon and hotelier Potter Palmer and his activist wife Bertha Honoré Palmer who fought for women’s rights and help for the poor. A story of love, major historical events, class warfare, intrigue, a forbidden love interest, and murder. A history of Chicago’s colorful Gilded Age. 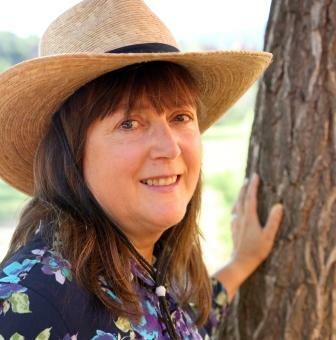 An award-winning novelist, Judy Alter is the author of several fictional biographies of women of the American West—Elizabeth Bacon Custer, Jessie Benton Frémont, Lucille Mulhall (first Wild West Show roping cowgirl), and Etta Place, the Sundance Kid’s girlfriend. 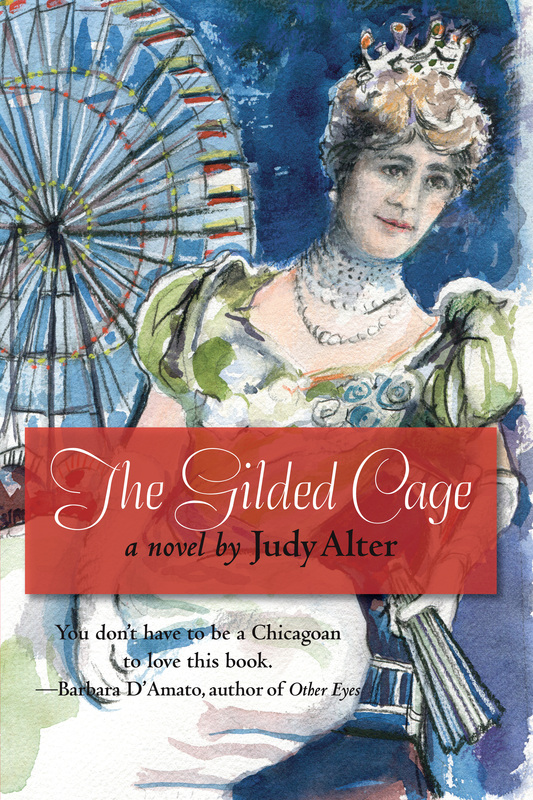 In The Gilded Cage she has turned her attention to the late nineteenth century in her home town, Chicago, to tell the story of the lives of Potter and Cissy Palmer, a high society couple with differing views on philanthropy and workers’ right. She is also the author of six books in the Kelly O’Connell Mysteries series: Skeleton in a Dead Space, No Neighborhood for Old Women, Trouble in a Big Box, Danger Comes Home, Deception in Strange Places, and Desperate for Death, and the Blue Plate Café Mysteries—Murder at the Blue Plate Café, Murder at the Tremont House and Murder at Peacock Mansion. 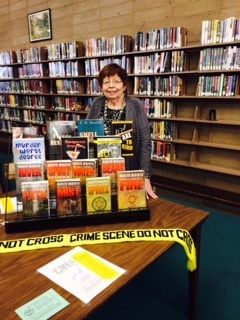 With the 2014 publication of The Perfect Coed, she introduced the Oak Grove Mysteries.